Home / Editor's Choice, Entertainment News, Forum and discussion, Lifestyle / Cancer survivor, CHRIS KIRUBI, talks about the dreadful disease killing 90 Kenyans Everyday. 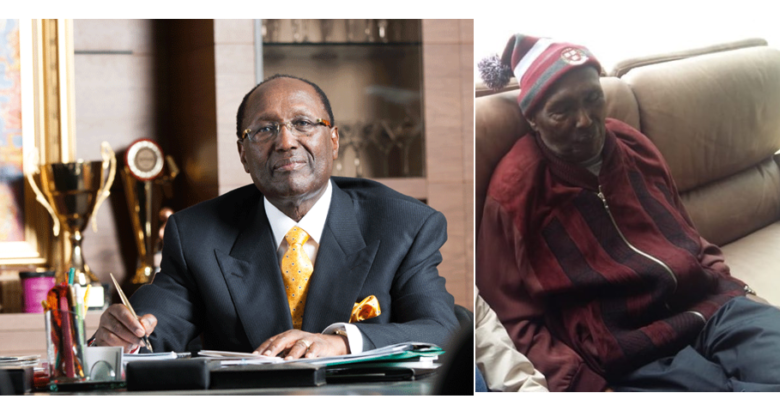 Cancer survivor, CHRIS KIRUBI, talks about the dreadful disease killing 90 Kenyans Everyday. 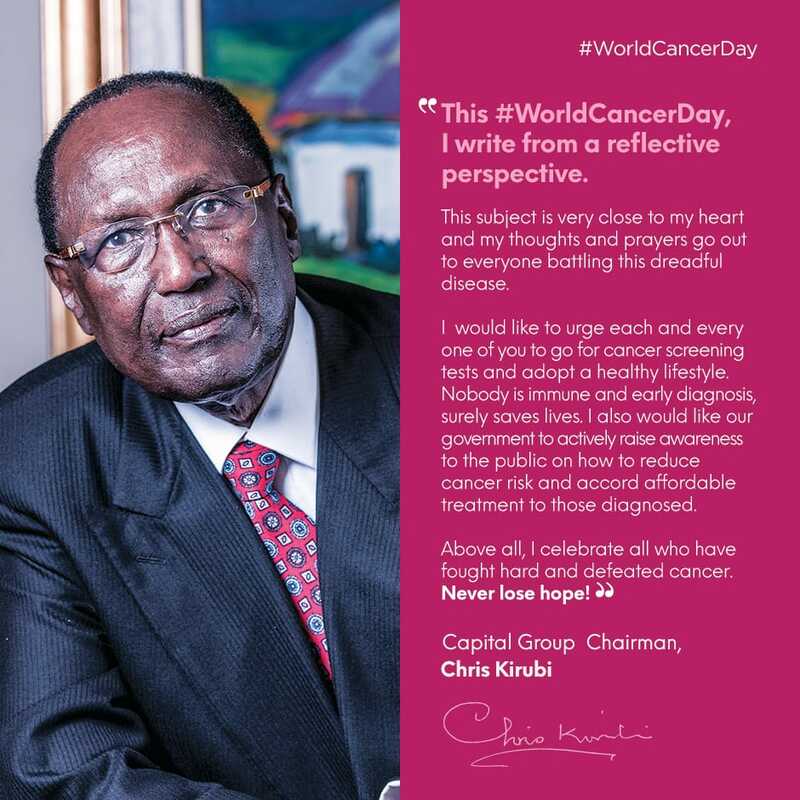 Tuesday, February 05, 2019- City tycoon, Chris Kirubi joined millions in marking the World Cancer Day on February 4th. This is a day set aside to raise awareness on cancer and to encourage its prevention, detection and treatment. The flamboyant billionaire, who has shown a remarkable recovery from cancer that saw him lose over 40kgs after spending several months in a US hospital for treatment, last year, used his experience to encourage others dealing with disease. Taking to twitter he wrote: “I look forward to a day when this world is cancer free! Let’s beat Cancer together. According to data from the Health Ministry, Kenya loses 90 people to cancer daily.